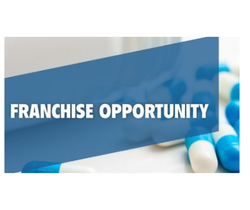 Our product range includes a wide range of etoricoxib tablets, albendazole tablets, rabeprazole tablets, cefpodoxime proxetil & potassium tablets, cefixime 200 mg lactic bacillus medicine and cefixime 200 mg clavulanic 125 mg tab. 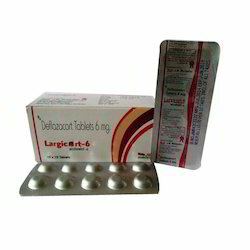 Our organization is well known in the market for providing a broad assortment of Rabeprazole Tablets. 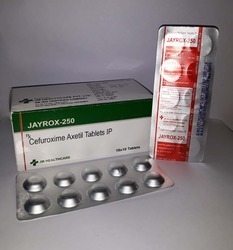 We are leading manufacturers of Cefixime 200 mg, Clavulanic 125 mg tab. 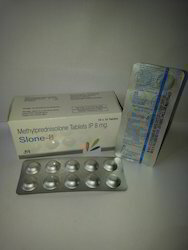 we are able to offer our clients a vast array of Methylprednisolone Tablets. Methylprednisolone is used to treat conditions such as arthritis, blood disorders, severe allergic reactions, certain cancers, eye conditions, skin/kidney/intestinal/lung diseases, and immune system disorders. 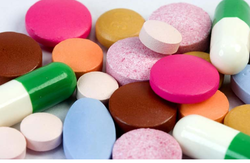 Our organisation is engaged in offering a qualitative range of Deflazacort Tablet to our valuable clients. These are manufactured using fine grade compounds. All essential vitamins and carbohydrates. Amoxicillin and clavulanate fights bacteria in the body. 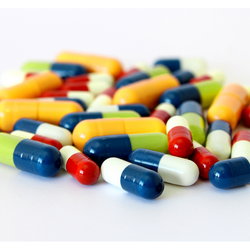 Amoxicillin and clavulanate is used to treat many different infections caused by bacteria . Pantoprazole & Domperidone Tablets is a proton pump inhibitor that decreases the amount of acid produced in the stomach. Pantoprazole is used to treat erosive esophagitis (damage to the oesophagus from stomach acid), and other conditions involving excess stomach acid such as Zollinger-Ellison syndrome. Symptoms of low magnesium - dizziness, confusion; fast or uneven heart rate; tremors (shaking) or jerking muscle movements; feeling jittery; muscle cramps, muscle spasms in your hands and feet; a cough or the choking feeling. Dispersible Amoxycillin & Potassium Tablets fights bacteria in the body. Amoxicillin and clavulanate are used to treat many different infections caused by bacteria, such as sinusitis, pneumonia, ear infections, bronchitis, urinary tract infections, and infections of the skin. Gastrointestinal- Diarrhoea, nausea, vomiting, indigestion, stomach inflammation, mouth ulcer and intestinal bleeding. Hypersensitivity- Skin rashes, itching, hives, angioedema and serum sickness-like reactions. Liver- Elevated liver enzyme levels. Genitourinary- Kidney inflammation, and blood in urine. Central Nervous System- Agitation, anxiety, behavioural changes, confusion, convulsion, dizziness, sleeplessness and reversible hyperactivity. We provide our precious clients with the optimum quality range of Ferrous Ascorbate Folic Acid Zinc Sulphate Tablet. Our offered tablet is exclusively processed by our skilled professionals using the best grade chemical compounds and latest processing technology. 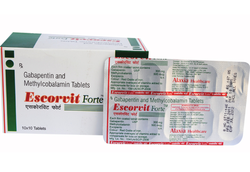 Cefuroxime Axetil Tablets is used to treat a wide variety of bacterial infections. This medication is known as a cephalosporin antibiotic. It works by stopping the growth of bacteria. 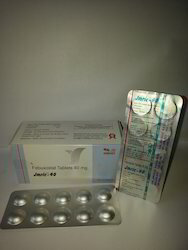 Rabeprazole (EC) 20mg Levosulpride (SR) 75mg is a Rabeprazole and Levosulpiride combination. Rabeprazole inhibits gastric acid secretion and Levosulpiride is a prokinetic agent, used in the management of functional dyspepsia on the basis of dopaminergic pathways controlling gastrointestinal motility. This medicine is used after prescription of doctor . 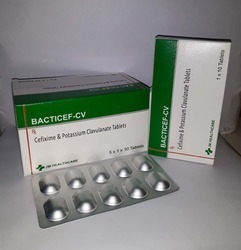 Diclofenac Potassium & Chlorzoxazone Tablets Used for the purpose of treating different bacterial infections, these tablets are processed by using most recent technology. 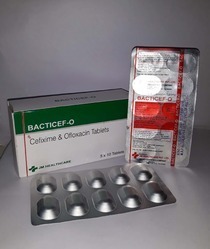 Cefixime Ofloxacin Tablet is a medicine that is used for the treatment of Bacterial infections of ear and nose, Sinusitis, Pharyngitis, Tonsillitis, Bronchitis, Pneumonia and other conditions. With the assistance of experienced and dedicated professionals, we offer an extensive range of JM Natural Vitamin E.
Our organization is engaged in providing an excellent quality range of Febuxostat -40 mg to our clients. It is processed in excellent manner by our leading vendors. Febuxostat -40 mg has accurate formulation and is widely processed in bulk quantities to cater to the demands of the medical industry. It has high purity and accurate composition and we are providing it in best packaging material so that its freshness and quality remains intact. 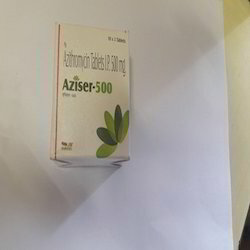 Other than this we are providing Febuxostat -40 mg at cost effective rates to our patrons. 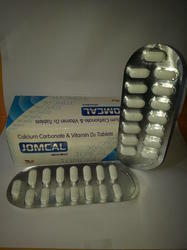 Calcium Carbonate & Vitamin D3 Tablets is a dietary supplement. It works by providing extra calcium to the body. 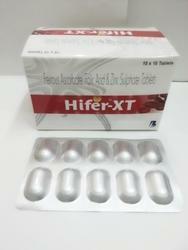 We bring forth a broad assortment of Ofloxacin & Ornidazole Tablets. It is an antiamoebic agent, prescribed for amoebic dysentery. Calcium Carbonate treating heartburn, sour stomach, acid indigestion, and upset stomach caused by these conditions. 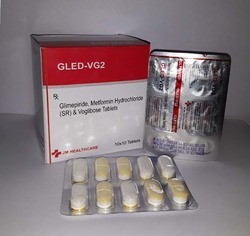 We are the supplier of the Glimepiride Metformin Hydrochloride and Voglibose to our clients AND the manufacturer . 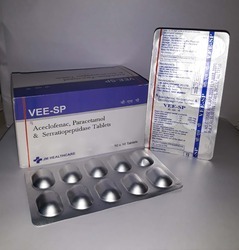 Aceclofenac Paracetamol Serratiopeptidase Tablet is a medicine that is used for the treatment of Muscles pain, Osteoarthritis, Toothache, Ear pain, Bones and joints pain, Fever and other conditions. We are leading manufacturers of Cefixime 100 mg. This medication is used to treat a variety of bacterial infections. 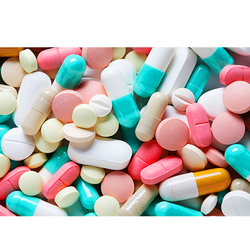 Ofloxacin Tablets belongs to a class of drugs called quinolone antibiotics. It works by stopping the growth of bacteria.